I have a passion for American Sign Language. I am presently attending a Community College college and I am planning to transfer to Gallaudet University in Washington DC to obtain my BA in American Sign Language Interpreting. I plan to continue writing and I hope to finish the sequel to Ginger High Soon. 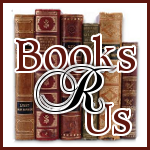 Books R Us is also participating in the Ultimate Blog Party door prize by offering A $25.00 Gift Card to Amazon.com So head on over to UBP and check out all of the great prizes that is up for grabs. Please Leave your link below and we will come over and visit your site. Please leave a comment. We love Comments!!! That's so fun you and your mom blog together! Good luck in school, one day I'll make it back. Thanks for stopping by Home Maid Simple's party post :). I hope you'll continue to come around. Thanks for stopping by my blog! So awesome you have written a book!! I would love to do that one day!! :) Have a great day!! Stopping by from UBP13 and A Dish of Daily Life to say hi! I love to read too...so much fun to find new books! I'll be sure to stop by again to check out your reviews! Hi Eileen! Thanks so much for stopping by my blog (http://serenitygoddess.blogspot.com/) as part of the UBP 2013! I love to read, someday I will make more time for it! 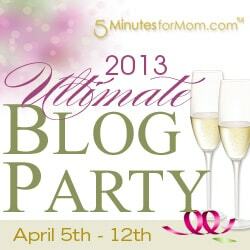 Stopping by from the Ultimate Blog Party! Stopping by to say hello via UBP13! it is so nice ot get to know more about you as a person - thank you so much for sharing! My step-daughter is a sign-language interpreter although she never had a chance to be professionally trained - she is an elementary and Jr. High teacher and is occasionally called on by other teachers to give talks about sign language to their classes. Good luck in your studies! Blogging has resulted in such great community building, and congrats on your college work! Found you through Picket Fence Blogs and did click the fence. Enjoyed my visit here. How great that you blog together with your mom. And very cool that you have a passion for Sign Language. My first girl Julia used lots of sign language as a baby until she was 2 yrs old. How wonderful, too that you blog with your Mom! If my Mom didn't work so hard,I would try to as well.